Our Editorial eggheads constantly have their ears to the ground, researching new home systems and building techniques. 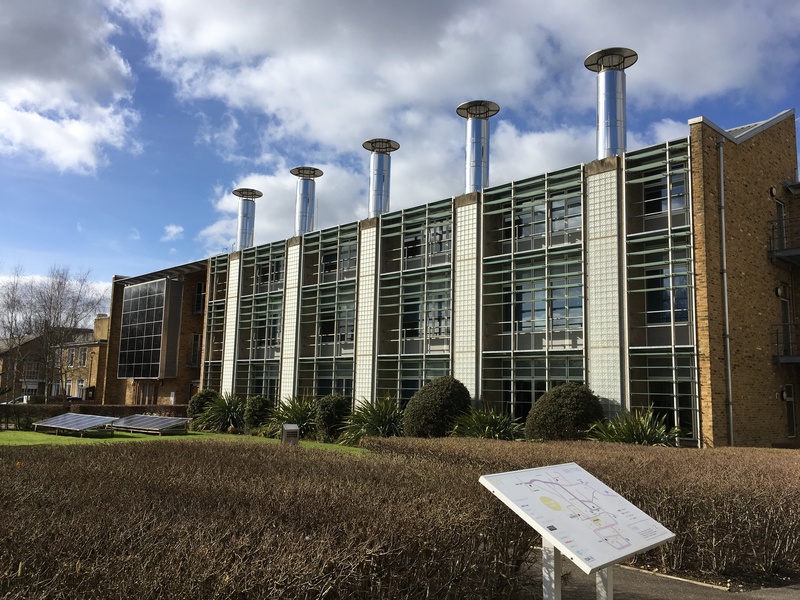 To see some of these ideas in practice, the team took a trip to the BRE (Building Research Establishment) Innovation Park in Watford for a first-hand look at some ingenious show homes. The BRE Innovation Park is a showcase for the housing industry’s research into safer, more sustainable, more efficient homes. During the visit, the team toured the site while listening to detailed audio descriptions via the BRE Innovation app, getting up close to sustainable heating solutions, learning about construction techniques tackling inefficiencies and viewing future-proofed properties adaptable for different usage needs and environmental conditions. Amongst the techniques and systems on display were automated reflective louvres to assist efficient lighting, greywater recycling systems to reduce heat loss and fresh water usage, and renewable home materials, such as carpets made from corn and sugar. Another interesting demonstration was a Victorian property that had been refurbished to transform it from low to high energy efficiency while retaining the original character. Outside, the landscaping exhibited was designed to enhance quality of life for residents, including sustainable drainage systems, imaginative play areas, wi-fi enabled public seating and biodiversity to benefit local wildlife – a local deer even stopped by to say hello! This hands-on look at the ways constructors seek to improve living experiences and reduce their environmental impact was a great addition to the team’s knowledge, ensuring our content is up-to-date with the forward thinkers of the property industry. A few of the team were even tempted to move in to some of the properties!